29 Sept 2008 - Another Stable Mate! 23 May 2008 - Woe is me! 15 May 2008 - At the paintshop. 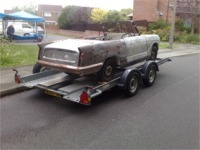 5 May 2008 - Off to the Paintshop! 5 Sep 2007 - Off with her bonnet! 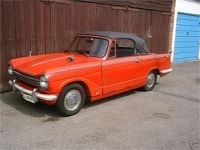 Welcome to my Triumph Herald Restoration Pages! A few words from the Author! 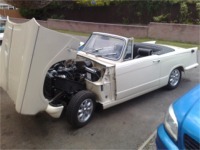 Never having owned a Triumph Herald before, let alone carried out a body-off restoration on one, it is a quest to prove something to myself (and my partner who thinks I am off my rocker!) . 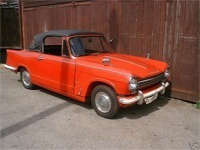 You will see that I perhaps could have done a little more research on the Triumph Herald before rushing in to buying the first one I saw on ebay, but I have always been impulsive, and will ultimately pay the price during the rebuild. If you want to know more about me then click here. 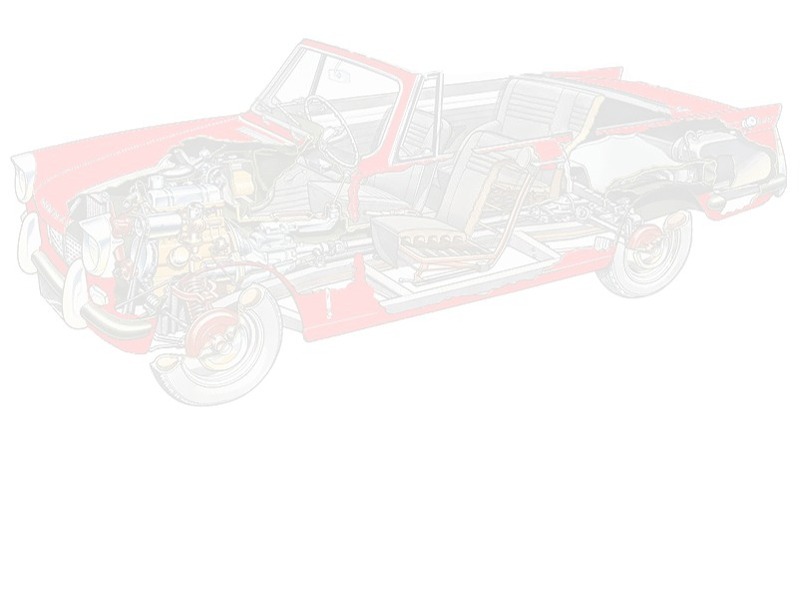 If you don't know anything about Triumph Heralds, then take a look at the Herald 13/60 Specs page and the Other Herald Stuff to give yourself a good idea of what it is all about. The Restoration pages will be added to as I go through the pain of the stripdown and rebuild, and hopefully it won't be too long before it all comes together - and I will try to keep the pages updated as best I can. My memory is pants for remembering to take pictures so I will endeavour to keep the photographic progress up to date as much as I can! 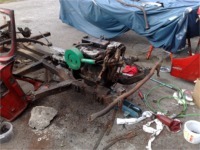 I am particularly interested in good tips on the things to do to make her more reliable, go faster and look better!